There’s been talk lately about an “identity crisis” happening in the cider industry. Having recently spent the better part of a week with some thousand enthusiastic cider makers and drinkers, it isn’t really clear just what the fuss is about, but perhaps the perception of anxiety is related to American cider’s multiple personality complex. 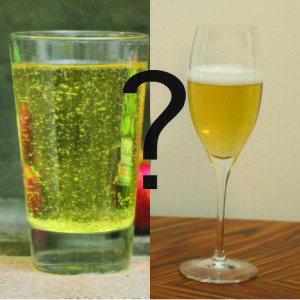 Is cider a sessionable pub drink or an elegant beverage destined to accompany a fancy dinner? Put another way, is cider more like beer or more like wine? Can it be both? Not so in the US. 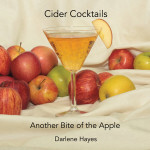 Here cider is in many senses an unknown, free to be created in whatever image a particular cider maker has. Some see apple juice as just one of many possible constituents the way that a brewer would consider wort. It provides fermentable sugars and some acidity, but the variety of apple involved isn’t particularly important. It’s mostly just a canvas on which a cider maker can paint a flavor picture using other ingredients if need be. Then there is the element that seeks to elevate cider to fine dining status where it can sit along side wine. For this cider maker the apple is the whole point, and coaxing the truest flavor out of one or more varieties and embracing the complexities of vintage is the cider maker’s highest calling. Some tension exists between these two camps, although politeness still reigns, in part because there are any number of cider makers with feet placed pretty firmly in both. The former sub-category of cider has been dominant so far, in part because the largest players are mega-breweries that are looking for products that can compliment their existing portfolios in a market where beer sales overall have been somewhat flat. These Big Players have been a key force in driving the explosive growth of cider as they’ve used their existing marketing muscle and distribution channels to ramp up cider’s place in the American drinker’s consciousness, not to mention on store shelves. These Big Players have such an outsized influence on the numbers (% sales growth, for example) that it well may be that they skew an evaluation of American cider as a whole. More than half of the cider producers in the US in 2015 (65% to be exact) don’t have distribution outside their local area (yet) which is not to say that their businesses aren’t robust and growing. So when one hears that cider sales growth in 2015 was only 10 – 12%, instead of the remarkable 60 – 70% of the previous two years, does it mean that cider overall is slowing down (and 10% is still plenty respectable) or that sales for the Big Players are? Bear in mind that these sorts of sales figures come from sales to supermarkets and like, not to restaurants and bars where consumer preferences might be quite different. In a consumer trends survey conducted by Penn State Extension in the final quarter of 2015, researchers found that a significant number of respondents tried cider for the first time because they either make a point of trying locally made products or enjoy wine and thought that cider might be similar. So why insist that the cider only be compared to beer as published statistics so often do? There is also some talk that American cider makers ought to be focusing on developing an indigenous cider culture rather than seeking to imitate the ciders of other regions. This seems a worthy goal, but frankly experimenting with European cider styles seems like it might be part of a cider maker’s maturation process, rather like an art student playing with the techniques of her predecessors as a means of preparing herself to take off in her own direction having through thoughtful imitation found her own voice. Then there is the question of apples and the calls in some circles for US growers to plant more specialized varieties used for cider elsewhere. The apple-juice-as-canvas approach suggests that the need for apples having a lot of post-fermentation character in and of themselves may be overblown if not unnecessary. Certainly in skilled hands even a humble dessert apple can shine (think West County Cider’s Macintosh/Golden Delicious or Tilted Shed’s Inclinato). Besides, cider has been growing quite nicely based on the apple varieties already widely available. This is, perhaps, a might short-sighted for it may be that a true American cider is one that embraces a melting-pot, multicultural approach, whether that be in fruit selection or production method, much in the model of America itself. Using apple varieties that originated on the other side of the pond won’t in and of itself make for a derivative cider, for certainly a wine made in France of pinot noir grapes grown there and one grown and made in northern California will be distinctly their own as the effects of soil and climate and all the other nuances of terroir exert their effects. Then, too, there are any number of cider makers/orchardists who are working to discover a whole new array of uniquely American cider varietals, tramping through the woods in search of character-filled wild seedling apples, people like Andy Brennan of Aaron Burr and Eric Schatt of Redbyrd Orchard. Many of the wildings are as richly flavored and mouth-pukeringly tannic as any apple hailing from Somerset and are as well suited to their environment as any of their wild native neighbors. Mayhaps these will be the apples of America’s true cider future. Throughout the ages cider has fueled the celebrations of fierce warriors, graced the tables of ambassadors, and made up part of a day’s wages for itinerant farm workers. In the end there is really no need to create some strangling definition of what cider is and isn’t. Let cider just be cider. Because, after all, as one British cider maker quipped recently, cider making isn’t open heart surgery on small children. It’s making a quality drink that brings people pleasure and sparks good times be it poured by the pint in the corner pub or in crystal stemware to accompany foie gras en croute. And if the cider category seems a bit chaotic at the moment perhaps it is best to just embrace it, for it is out of chaos that new worlds are born. Great post! I’m very curious to see where cider will go in the next 5-10 ish years. I think better categorization would help. I’d like to see an average consumer be educated that a $20+ 750ml bottle of artisan cider is quite different than the six pack commercial cider they may have tried years earlier and dismissed as being too sweet. However, big beer has a huge advantage (advertising money). Maybe this is something the various craft cider associations can help with (ex. Northwest Cider Association)? I think this is also a great topic for us bloggers. Further, differentiating for example craft cider from artisan (or whatever you want to call orchard-based cideries) would be great. Even the clearly commercial cideries are calling themselves craft now (ex. Woodchuck)! I’m not a big fan of the current trend of many cideries opening up that don’t press their own juice, use dessert apples, have everything flavored / hopped / spiced / sessionable / etc. I see a lot of this as just part of the inevitable first stages of growth, although there are companies that have been out there on their own (almost) making great cider for many, many years. Consumer education is key, and the blogosphere has a role to play. Labels like “craft” and “artisan” have become so confused that they might just as well not exist. What I’d really like to see are stats that consider more than just sales to supermarkets and are only compared to beer. That approach leaves out whole swaths of the American cider world and results in a very distorted picture. Personally, I’m not categorically adverse to a cider with something else in it. That’s been done for hundreds of years. But what I look for is artistry in the doing, not additions that just make up for lusterless apples. Great article. I think there is one CENTRAL point to this debate: Apples aren’t grown like grains are. They are a fruit from an orchard which juice has a microbiology much closer to grape must. In this Regard the Orchard based cidery makes the most sense culturally, historically, agriculturally and in regards to sustainability. But also industrial cider when dry and un flavored just tastes like acid water, seriously. One thing I hope the craft cider movement will go towards in the future is a focus on staying democratized. UNLIKE, for instance the wine industry here in Oregon, where you can’t buy a decent bottle of wine for under $20 (and where you can purchase an IMPORTED amazing French or Portuguese bottle for $9). Craft and cider-apple based cider shouldn’t mean elite and expensive. Keep in mind when I go back to Brittany where my family is from I spent 4 euros in a creperie on a labeless bottle of cider made with 100% quality fruit, barrel fermented, and made right next door by the 65 year old farmer. It’s so unpretentious and good. It tastes and smells like the countryside. The American Craft cider World, I hope, will be guided but its historically humble beverage of choice; but without disregarding quality and without succumbing to industrial and marketing ease. Please keep in mind that such prices of Oregon Pinot or other quality bottles of ‘Artisanal’ Cider being higher than what you get from or in Europe is not a mere factor of lack of democratization or an emphasis of ‘elitism’ as you imply. There is an entirely different structural system between our two continents that plays a factor in a myriad of ways, many of which influenced by an older, deeper and more contiguous history – cost of land here and now vs. inherited land or better subsidized agricultural land in Europe; basic production equipment more readily available and affordable in Europe than in the US; more accessible and affordable packaging materials in Europe; facilities and equipment that is often passed down from generation to generation, etc. All of these factors play the biggest role in cost of goods here vs. the majority of Europe, and that won’t reverse anytime soon.